Garden Sparkle Blog: Announcing the winner of our EASTER GIVEAWAY!!! 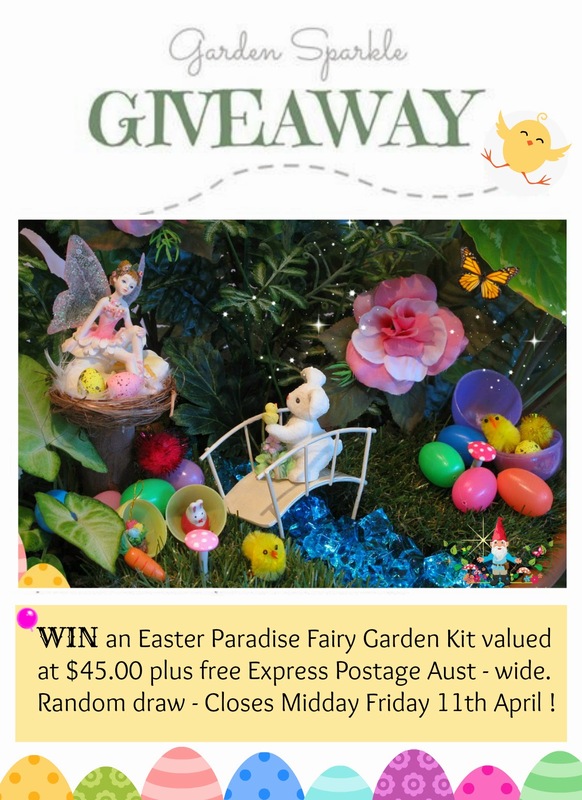 A fairy big CONGRATULATIONS goes out to Christine Higgs the lucky winner of an 'Easter Paradise Fairy Garden Kit' valued at $45.00. You have 48 hours to claim your prize. Please email me ASAP at gardensparkle@gmail.com to claim your prize and provide your address details. Wonderful thank you Chris :) CONGRATULATIONS!!! !